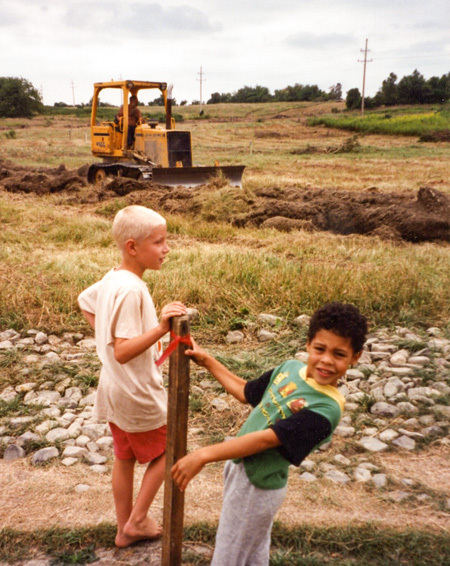 With parades and piping, drumming and speechmaking, ground was broken for the first neighborhood of the EcoVillage CoHousing Cooperative in Ithaca, NY. The event attracted over 200 persons, including the members of the thirty households who will be its first residents. 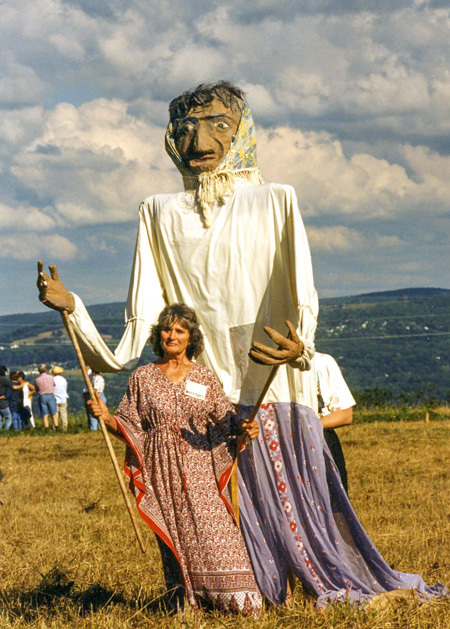 A huge Mother Earth puppet, created by a member, led a winding procession of future neighbors across the 176-acre site to the tent erected where the common house will be built. In a private ceremony for the households, half of whom have moved to Ithaca from across the US, blessings and thanks were offered at the two-acre organic garden, already producing bountiful crops through a Community Supported Agriculture project. 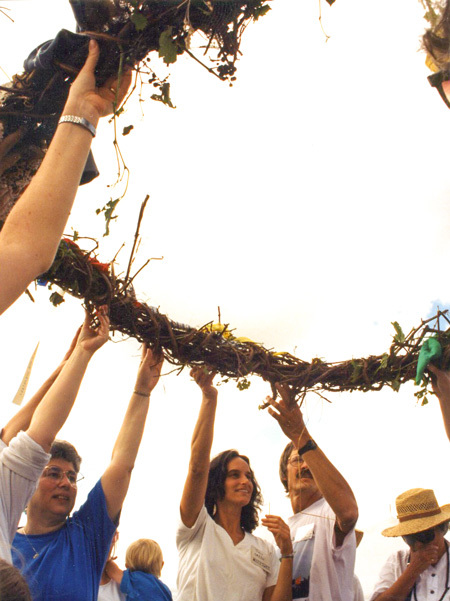 A huge grapevine wreath, created by another future resident, was woven with fabric strips containing the names and hopes of each member of the community. The public celebration, attended by local dignitaries and supporters, introduced the many individuals who had contributed to bringing the project this far: co-directors Joan Bokaer and Liz Walker, design/build team Jerry and Claudia Weisburd, lenders who financed the land purchase, past and present board members, and most important, the residents themselves. All who wished the assisted in the digging for the first foundation. The EcoVillage project is unique in that it plans to cluster five cohousing neighborhoods on its acreage, leaving almost 150 acres as open space for gardens, orchards, fish ponds and preserved wetlands. Its goal is to demonstrate and alternative to suburban sprawl that will bring agriculture closer to cities, and also be maximally sustainable. Homes as superinsulated duplexes, with 14-foot south-facing window walls and environmentally sensitive systems. A waiting list is already being gathered for the second neighborhood.